I solved 67% of the puzzle in 30 seconds but cannot go any further after staring at it for half an hour. I refuse to look up the answer or be told the answer because that's no challenge. 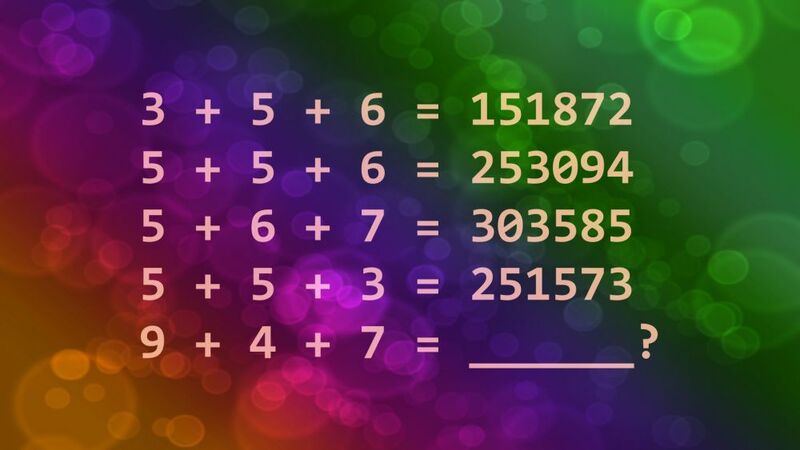 I have an open thought on what type of artificial intelligence software might be able to solve this math puzzle. Now, if I can figure out an AI method, that would be a far greater achievement than solving it with my human intelligence (or lack thereof). The answer is revealed in the following video. I see 73 is a prime number, therefore, it is not derived from multiplication of other digits in the math puzzle. The number 73 has more of a story behind it than you might imagine. Here is a short-list of some facts about the number 73. Seventy-three is the 21st prime number. The 20th prime number is seventy-one. Together, they are the 8th twin primes. Reverse the digits in 73 to get 37 which is also a prime number. These are known as permutable primes where any permutation of the digits results in a prime number. For another example, the 3-digit prime number 113 can be permuted to 131 and 311 which are prime numbers. 73 is the 21st prime number. 37 is the 12th prime number. 73 in binary is 1001001 which is a palindrome (the same forward or backward). 73 in Morse Code is a palindrome. 7 is — — · · · and 3 is · · · — — so 73 is — — · · · · · · — — . Sheldon in The Big Bang Theory says "73 is the best number".